One problem is that there are so many new ways to do math these days. New legislation is being passed down regarding what kids are required to know at different levels. A number of new ideas continue to promulgate themselves in educational settings. 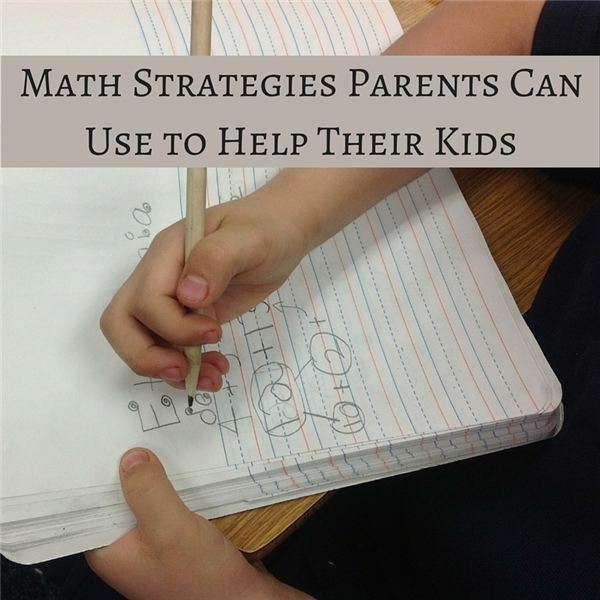 However, you can use a number of practical strategies at home to help enforce important math skills. Millions of mistakes in math computation and applications are made by students at the first step, which is reading the problem. When it comes to problem solving or word problems in math, there is no easy way to the right answer. It has become more acceptable to do the math in any way that the student feels comfortable. This gives you some leeway when showing children what they can do to arrive at the right answers. The key is to make sure they understand the problem first and separate the information that they know from what they don’t know to solve the problem. Careful reading of both the problem and directions often solves this issue at the front end. This avoids the issue of continually having to redo the problem, which wastes valuable time with homework and standardized tests. NASA has a rule that three people must check anyone’s work before it is submitted to the facility for use with space shuttle flights. While this is not always practical in the classroom, students can do this at home, asking their parents, siblings or other adults to check their work before they submit it. In addition, students can learn the importance of double- and triple-checking their own work to ensure that it is correct. If they get in this habit, this will save them a lot of time and hassle in the end. Another key strategy you can work on with your child at home is to stop and think before starting the process of solving a problem. Explain to them that just an extra 5 to 15 seconds of thought about what steps they should take on activities, homework and tests can save them from having to redo problems. Essential math rules are the law and order that make math work in the real world and on paper. Have kids recite important math rules in algebra, geometry and even basic math regularly. This will help them become more familiar with the essential rules and recall them more easily when needed. There is more of a push now in education than ever before for the process of writing to cross over into all the other disciplines. Math is no exception to this rule. Have your kids tell you what rules were applied and how they arrived at their answers when solving basic or multi-step problems. This self-analysis will prepare them for standardized test where they must often describe the details of how they got the answers on their tests. In some cases, students can even earn extra points or get a higher score on the test in general for doing a good job at explaining their thought processes. Parents can use these tips at home to help aid kids better understand their math homework and testing assignments. Exposure, practice and real-world applications are the key and parents have the best access to all of these. Get involved and talk to your child often about math, work with your child’s teachers at school, and you should start to see some improvements.